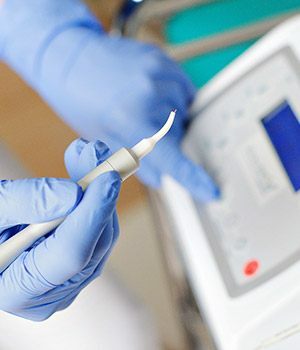 At Progressive Dental Group, “progress” is literally in our name, and our dentists consistently invest in the latest dental technology so that our patients always receive the absolute highest level of care. Thanks to our state-of-the-art equipment, your appointments will be fast and comfortable, and your smile will look and feel better than ever before. To learn more about our advanced technology, you can read on below, or you can come experience the benefits for yourself by scheduling an appointment! 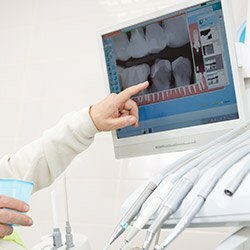 Why Choose Progressive Dental Group for Dental Comforts & Technology? 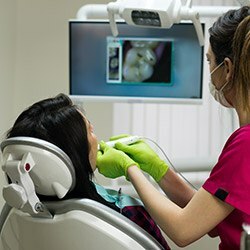 We use our small intraoral camera to capture close-up, high-resolution images of the teeth and gums we can then display on a large monitor right in the treatment room. Your dentist can use these images to better explain what is going on with your smile and why you might benefit from a certain treatment. This tool helps patients stay more informed about their dental care, and it also helps our team find issues that would normally be very difficult to spot during a traditional exam. There’s a lot going on beneath the surface of the smile, and to make sure we don’t miss a thing, our team uses X-rays every single day to catch hidden dental issues. Thankfully, digital X-rays have made this process faster and safer than ever before. Compared to traditional film, digital X-rays take much less time to produce images, they’re able to capture much more detail, and they emit up to 80% less radiation as well, giving many of our patients peace of mind (especially parents with small children). If a patient is dealing with gum disease or wants a cosmetic gum lift to achieve a more attractive smile, we can easily take care of both using our Picasso Soft Tissue Laser. 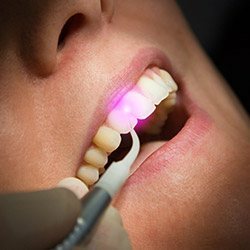 Its highly focused beam of light is able to instantly vaporize harmful bacteria along the gum line, remove infected tissue, and even reveal previously hidden dental structure to make the teeth appear longer. Most patients don’t even need local anesthetic for procedures with the laser, and post-treatment bleeding and swelling is practically non-existent. Sedation dentistry uses medication to help patients relax during all kinds of dental procedures. It's sometimes referred to as "sleep dentistry," although that's not entirely accurate. Patients are usually awake except for those who are under general anesthesia. If you or your child ever feel anxious or even fearful of going to the dentist, then we can use sedation to ensure you enjoy stress-free appointments every time, making it easier to get the healthy smiles you deserve. Does your bed partner constantly complain about your loud snoring? Do you feel tired throughout the day despite sleeping 7-9 hours each night? Do you always have to work through a “mental fog”? You may be suffering from sleep apnea, the second most common sleep disorder in the country. Fortunately, we can help patients dealing with this kind of issue simply by having them wear a custom-made oral appliance to bed. 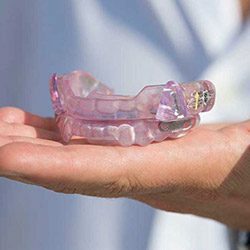 It helps keep the airway open throughout the night, letting patients (and those around them) get the deep, restful sleep they need to wake up and feel energized the next day. The TMJ (temporomandibular joint) is the small set of hinges that enables your lower jaw to move in all directions, essentially giving you the ability to eat, speak, laugh, and yawn. It can sometimes develop painful symptoms due to stress, strain, or injury, leading to a stiff and aching jaw, chronic pain in the face and head, and even soreness in the neck and shoulders. Our team can provide a number of proven therapies, including occlusal adjustments and custom-made splints, that can help rebalance the bite and provide long-term relief.